Top > Study > Computer virus > What is computer virus? ■ What is computer virus? It is a program to break and interruption the other computer’s data. It dives into others computer through a mail, USB connector. Computer virus is maybe the most popular any other problems. 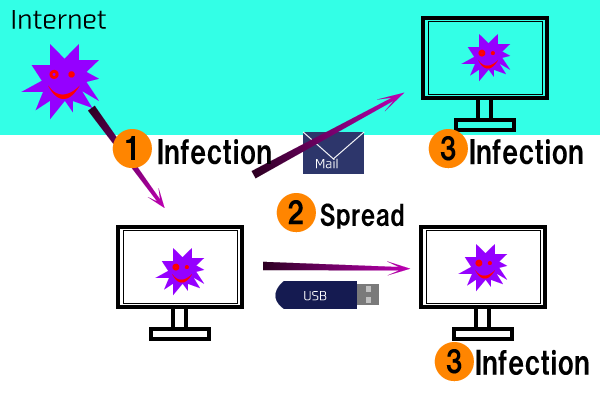 Computer virus has three process. First is infection.It means that copying itself and breaking into the computer. Second is incubation. It means that hiding the computer. Finally is onset.It means that attacking the computer. These processes are important to study computer virus.